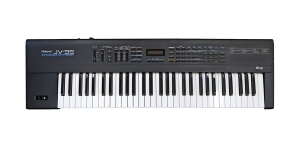 JV-80 is a 28-note polyphonic synthesizer with 4 oscillators per voice. 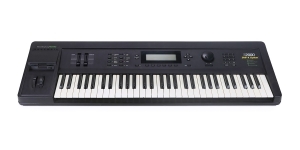 The 61-note keyboard is velocity sensitive and supports aftertouch. 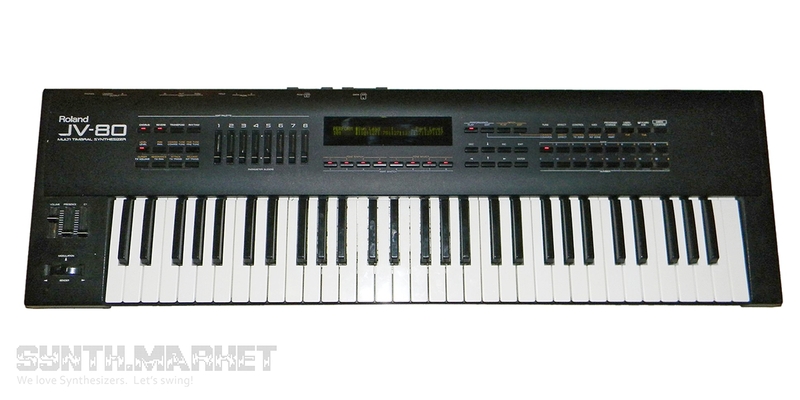 The digital synth engine offers 4MB of ROM sampled sounds. 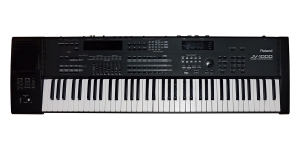 Roland installs in the instrument its digital Time Variant Filter and features two LFOs which can be routed to pitch, amplifier section (TVA) and filters. There are two effects units onboard. 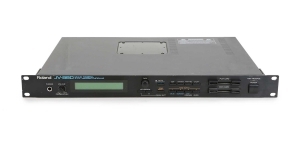 Memory stores 192 patches and 48 performances, 64 user programs and 16 performances and can be expanded with 8MB SR-JV80 expansion boards which will add some great sounding patches to the selection. 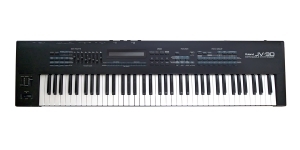 The digital synthesizer was quite popular in the 90s being followed by JV-1080, JV-2080 and XP-series instruments. Parameter editing is easy thanks to a number of assignable sliders on the front panel. 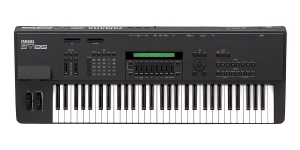 Roland doesn’t introduce a sequencer so there are no possibilities of user sequencing or applying some preset arpeggios. MIDI in/out/thru options are available. 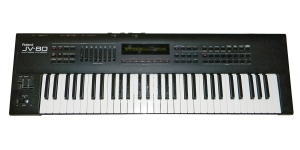 JV-80 was used by Vangelis.